Super spooky dark chocolate cake. Suitable for all your black magic get-togethers :) . 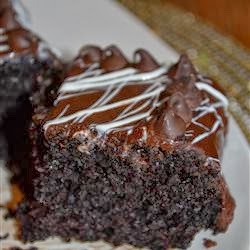 This will be my go-to chocolate cake from now on! Super moist but light and great intense chocolate flavour!